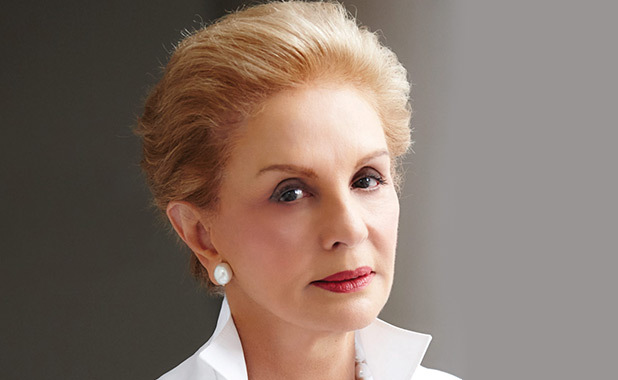 Establishing a globally recognized image, Carolina Herrera has resided at the helm of her eponymous label for over three decades, proving with each new season that effortless elegance paired with modern refinement is always relevant. From within her New York–based atelier, the designer’s impeccably crafted, fashion-forward collections reflect the style codes of the House — catering to the woman who desires something feminine and luxurious that fits her lifestyle. Featured in top international publications, showcased on Hollywood stars across the red carpet, and frequently worn by women in the public eye, Carolina Herrera’s designs are an authentic expression of the designer’s stand-alone mission — to make woman look and feel their most beautiful.